China's manufacturing sector barely grew last month after stalling in September and export orders contracted further, according to a private sector manufacturing report. The economic impact of the intensifying trade war between Washington and Beijing appeared to deepen last month with factory activity and export orders weakening across Asia and analysts expecting a bigger hit in months to come. In a sign condition for exporters and factories were deteriorating, manufacturing surveys showed marginal growth in China, a slowdown in South Korea and Indonesia and a contraction in activity in Malaysia and Taiwan. Those figures follow weaker-than-expected industrial production data from Japan and South Korea on Wednesday, with output in the latter shrinking the most in over 1-1/2 years. By contrast, the US ISM manufacturing survey for October due later on Thursday was expected to show a much faster growth pace than in Asia, albeit a tad slower than in September, supporting the outlook for further Federal Reserve rate hikes. Worryingly, the prospects for higher US rates could feed back more market pain for the region's externally vulnerable economies -- Indonesia, India and the Philippines, which have already been forced to raise rates to mitigate a sell-off in currencies, stocks and bonds. "You have a tightening of monetary conditions around the world, a slowdown in Chinese demand, and financial market turmoil that affects sentiment and investment decisions," said Aidan Yao, senior Asia EM economist at AXA Investment Managers. Yao said many orders from abroad are still frontloaded in anticipation of yet more tariffs and the impact is still mostly indirect, through the business confidence channel. "The real economic shock is yet to come," he said. China's manufacturing sector barely grew last month after stalling in September and export orders contracted further, according to a private sector manufacturing report. An official survey on Wednesday showed the manufacturing sector expanding at its weakest pace in over two years, hurt by slowing demand both externally and domestically. Japan showed more resilience, with activity picking up, though at a slower rate than in a previous flash estimate. The world's third-largest economy faces pressures in other areas with its central bank trimming the inflation outlook on Wednesday, flagging external risks. Its tech-specialist neighbour and Southeast Asian economies look more exposed, however. A DBS analysis of Asian supply chains for products bound for the United States shows the biggest exposures in machinery and electrical equipment in South Korea, Singapore, Malaysia, the Philippines and Taiwan. South Korea's minerals and petrochemicals exports were also exposed, as well as Indonesia's transportation industry, according to the DBS report, which looked at the correlation between China's imports from Asia and its US exports. The Harpex index, which tracks weekly container shipping rate changes and is a measure of global shipping activity, is now down 25 percent since its June peak. The pressure on China's economy is not just external. Economic growth cooled to its weakest quarterly pace since the global financial crisis at 6.5 percent, exhibiting lacklustre domestic demand by Chinese standards. 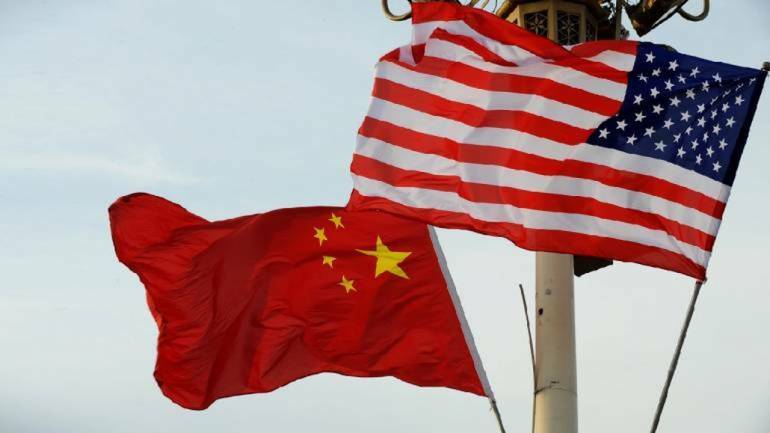 Washington has already imposed tariffs on $250 billion worth of Chinese goods, and China has retaliated with duties on $110 billion worth of US goods in a row sparked by US President Donald Trump's demands for sweeping changes to China's intellectual property, industrial subsidies and trade policies. But absent any deal between Trump and Chinese leader Xi Jinping, who are expected to attend a G20 summit this month in Buenos Aires, the recently introduced 10 percent tariffs on $200 billion of Chinese goods will be raised to 25 percent and other tariffs may be placed on the remaining $250 billion-or-so of Chinese products which escaped the initial crossfire. "As everyone anticipates a further tariff hike...there is still a lot of front-loading going on. After January 1, we expect many trade and economic activities to tumble," said Kevin Lai, senior economist at Daiwa Capital Markets.